Transitioning to a new school can be difficult for kids. 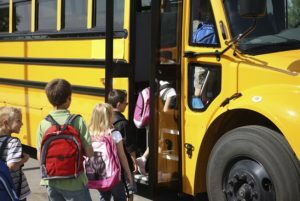 Whether it’s your child’s first day of elementary school, their first day of high school, or you’re moving to a new school district, starting a new school can affect a child’s academic performance, social development, and mental state. Make new friends early: Take advantage of the time before school starts. If possible let your child join a sports team or attend a day camp where they can make friends that go to their new school, and have these friends over for a play date. Stock up on school supplies: Choosing their own backpack, lunchbox, binder or clothes might help your child feel more confident and in control on their first day. Be involved: If possible volunteer at your child’s school or help out with a school sport or club. Try to take an active role in their school environment and get to know your child’s friends and the other parents. Next Next post: How Many Extracurricular Activities is Too Many?